Chris Yates is a photographer, tea connoisseur, nature lover and prolific writer, having published hundreds of articles and at least 13 books. He is the former British carp record holder with the capture of a 51lb specimen carp from the famous Redmire pool. 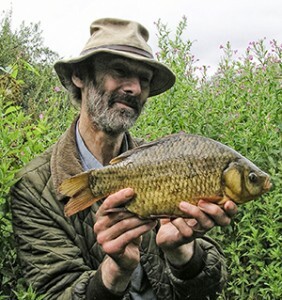 He lives in a cottage in deepest Wiltshire where he indulges his newfound passion for crucian carp, and is reportedly writing a book about winter.